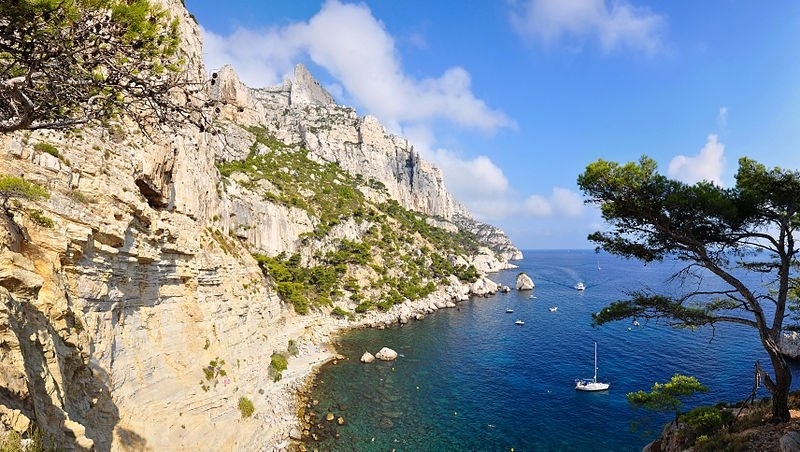 The Calanques stands between Marseille - Callelongue and Cassis, a ten-mile area. On foot or by sea, they offer a unique landscape, of contrasting colors, an incredible flora and a precious fauna... it's a unique place. The massif is composed of many steep creeks where the limestone, which was cut 10 000 years ago when the sea level rose, is mixed with the turquoise waters of the Mediterranean. The creeks most recognized for their beauty are those of Sugiton, En-Vau where the red rock and pine trees overlook the clear waters, and Port-Miou where small boats moored peacefully. It is tempting to swim in clear waters but be aware because water is often cooler than on the beaches as the cliffs fall steeply to the depths and do not form a coastal plateau where the water could be heated. Hiking trails in the Calanques Massif are numerous. 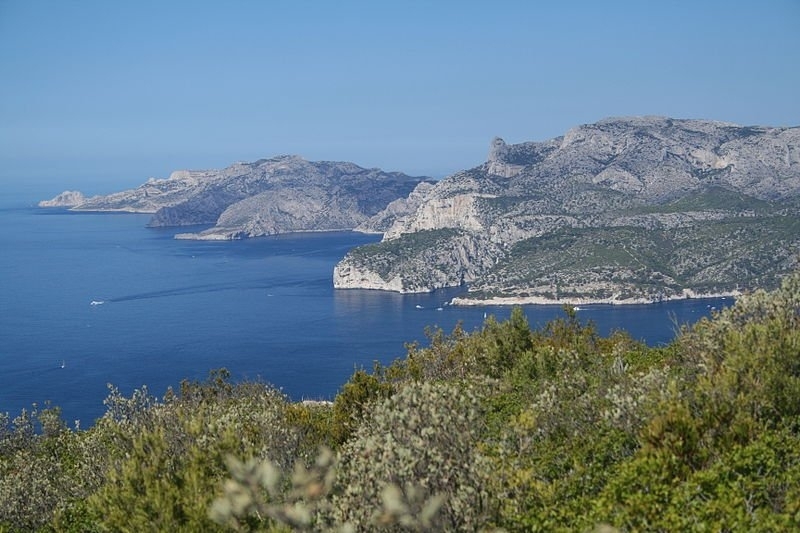 Choose to hike during the winter season because in summer access to the Calanques is often closed due to fire risk. Several companies offer tours to explore the creeks by boat or on foot. You may find all the information on the Cassis Tourist Office website. Info: Offering a private swimming pool, Maison 25 avenue Notre Dame à Cassis is a 20-minute walk from the town centre. You can walk the 800 metres to the beach or relax on the furnished terrace. 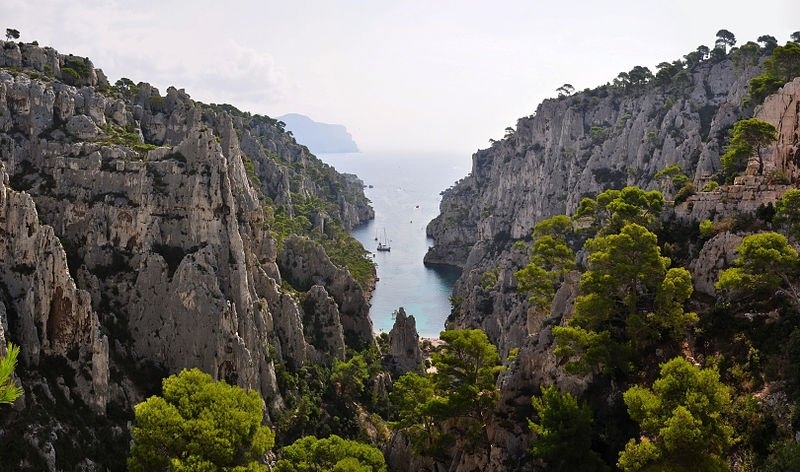 Info: Only 30 km from Marseille, Villa Cassis is located on the Cassis Peninsula with its beaches and cliff bays. A wooden-decked infinity pool and an outdoor hot-tub for 7 persons are some of the property?s facilities. Info: With views of the highest cliff in Europe and over the Mediterranean Sea, Hotel De La Plage boasts a desirable location. It offers stylish accommodation and private access to the beaches. Info: Set just a 10-minute walk away from the beach, Au Cedre de Cassis is located in Cassis and offers a self-catering apartment. Guests can enjoy free access to the tennis court and to the outdoor swimming pool 25 metres away.